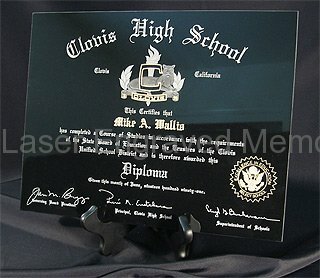 * Pristine Laser Engraved Granite diplomas and certificates. 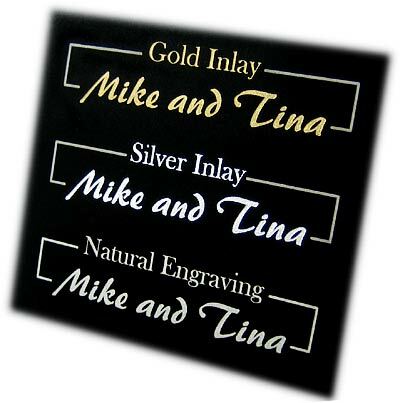 Store your originals and display a stunning Laser Engraved copy on black Granite. Each piece is permanently engraved with high durability. * About the Materials used: Granite thickness is between .25" & .375" and has a mirror finish on the front surface. Super black granite is used which has a very small grain size. Stone Type: Select a Stone Type Above. All stones have a mirror finish on the front surface with finished edges.